The coveted brand, Octave brings this T-Shirt to enhance your style quotient. It features a polo collar along with a slub pattern that makes it score high on the fashion metre. Besides, it features a short button placket at the front that makes it convenient to wear. 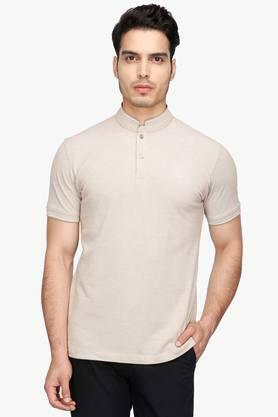 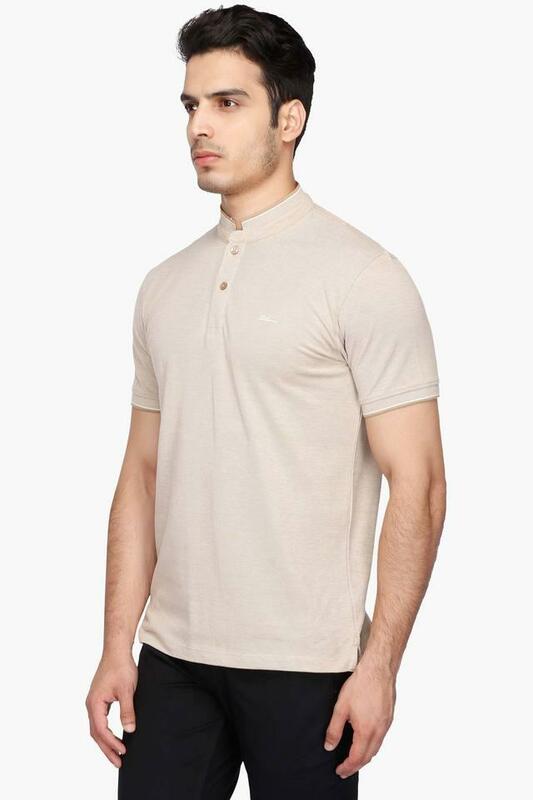 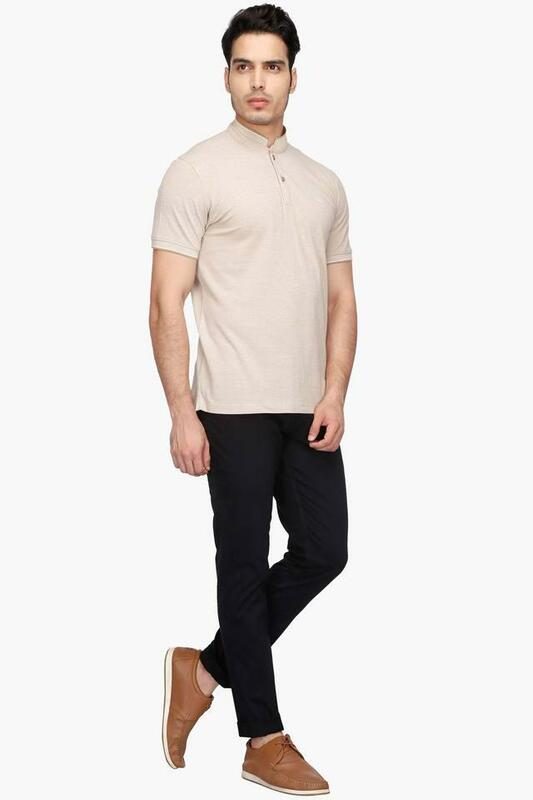 Opt for this polo T-Shirt to make a distinctive style statement for any casual occasion. 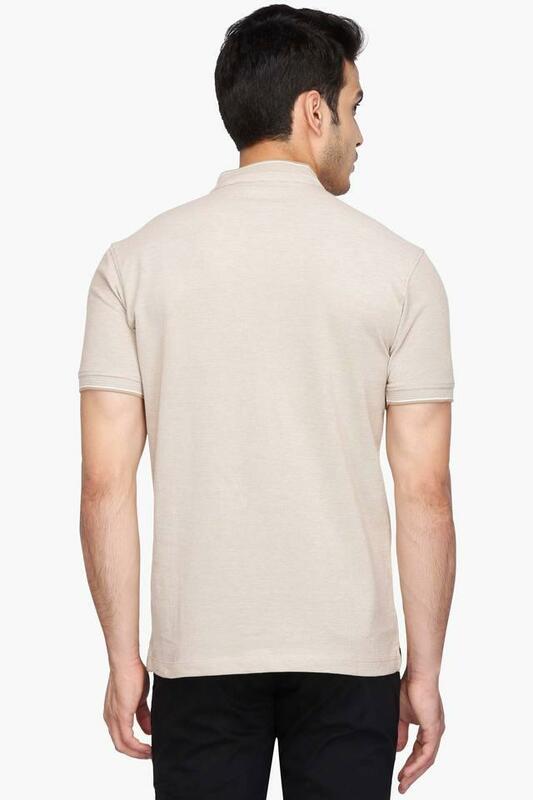 You can wear it with a pair of chinos and boat shoes to get a smart look.